Indulge in warmth and comfort in these ladies Jill slippers by House of Slippers. 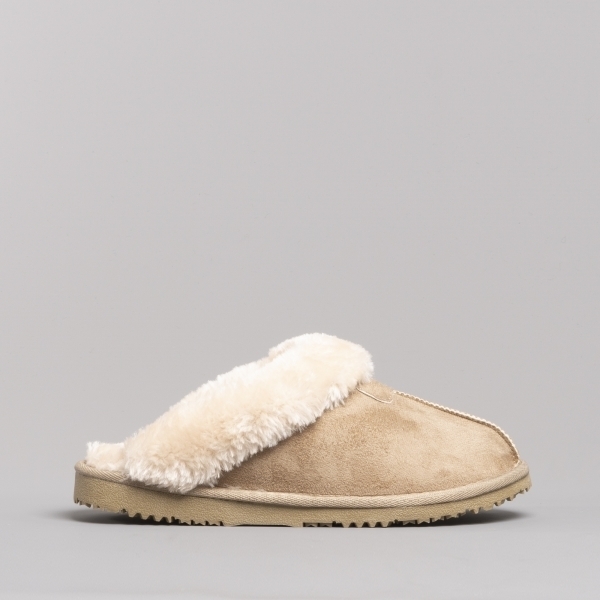 Lined completely with cosy faux fur, they surround you with all the warmth you could dream of keeping your toes toasty and snug on a cold night. Take every step in sublime comfort as the memory foam delicately cushions the ground you walk on and look as good as you feel as the classic mule slipper with a sleek faux suede upper gives your feet a traditional and stylish look. These are the perfect slippers to come home to after a long day.